Elconite® is a sintered composite material created by combining materials with a high melting point such as tungsten, tungsten carbide and graphite with highly conductive materials such as silver and copper. Choose from a range of Elconite® materials with different amounts of the constituent metals and different types of additives. 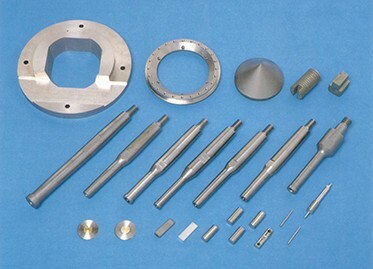 Elconite® is a sintered composite material created by combining materials with a high melting point such as tungsten, tungsten carbide and graphite with highly conductive materials such as silver and copper. Choose from a silver type and a copper type. Heavy Alloy® is a sintered material created by adding metals such as nickel, copper and iron to tungsten and increasing the density. 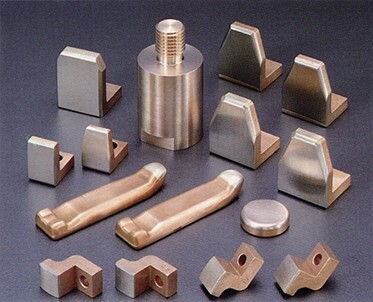 It is used in a wide range of fields due to its outstanding mechanical properties such as high density, high vibration damping performance and high Young's modulus, along with outstanding radiation shielding and heat resistance. 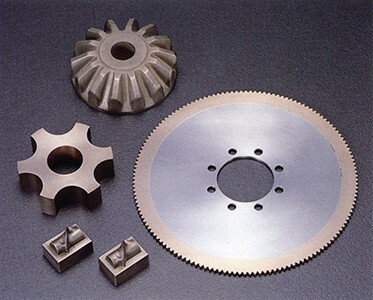 Toshiba Materials uses Heavy Alloy® in collimator parts due to its outstanding radiation shielding, and produces a range of other Heavy Alloy® parts such as balancers due to its high density.